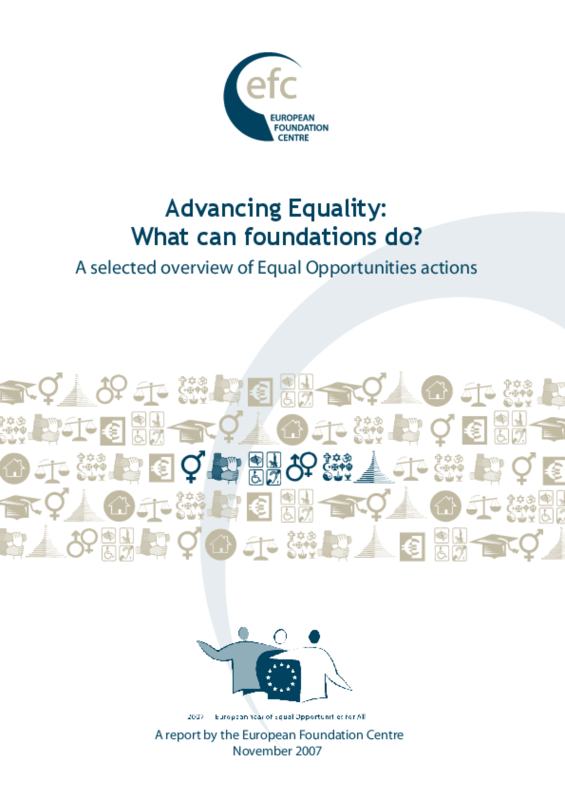 A report produced by the EFC as a contribution to the 2007 European Year of Equal Opportunities for All. The document outlines 110 case examples of independent funders' involvement and practices in the fields of equal opportunities and non-discrimination. European Foundation Centre (EFC) Copyright 2007. All rights reserved.